Experience Hahndorf like a local on a walking tour with passionate Hahndorf resident and historian Sharon Pippos. Meet Captain Hahn, learn about fachwerk architecture, visit the Pioneers Women's Walking Trail memorial and more! 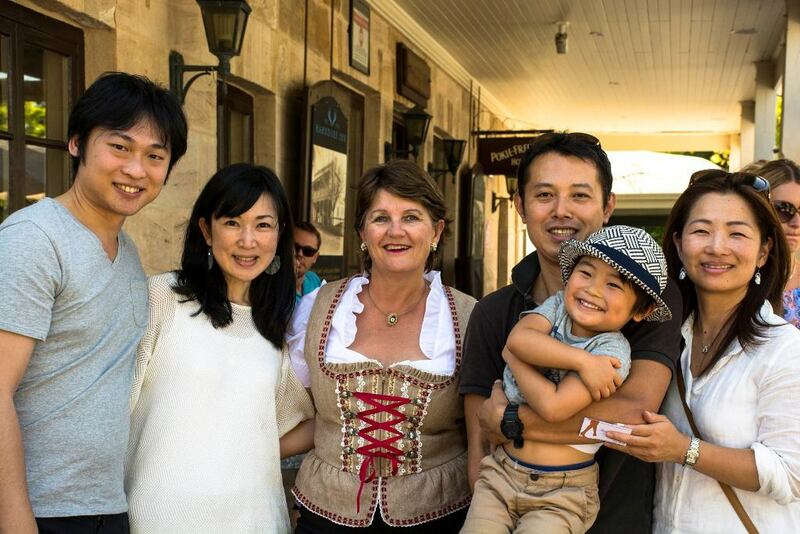 These easy waking tours covering about one kilometre bring the stories of Australia's oldest surviving German settlement to life, visiting significant and intriguing sites including some on private property. Bookings are essential to avoid disappointment. Book online here or call the Adelaide Hills Visitor Information Centre on 08 8388 1185. The Hufendorf Walking Tour includes the northern end the main street, and locations not open to the general public. The Strassendorf Morning Walking Tour is a slightly shorter tour taking the southern end of the main street. The Strudel and Stroll Option (Monday to Friday only) commences at the iconic Hahndorf Inn at 10am where guests construct their own traditional Apple Strudel with the chef. Guests then join the Strassendorf Tour. At the completion of the tour the strudel is served with ice-ream, cream and a hot beverage. 24 hours notice required. The Hahndorf After Dark Walking Tour offers a whole new perspective of the southern end of the village, visiting the old mortuary and cemetery. Lanterns are provided. Bus commentary with 1 or 2 stops (60 minuntes), bus commentary with 2 or 3 stops (120 minutes) or all day guide available on request. Specialised tours, school groups, guided bus tours and conference presentations can also be arranged, including mid week with pricing on application. All walkers receive a voucher sheet for use at the completion of the walk which is valid for 6 months.